USB DACs are nothing new to the market and I have only really paid attention to one of them the D3 from AudioEngine last year. Mike swears by his Aegis from Cozoy, others disagree but by and large my laptop has been a USB stick DAC free experience. I got what they are about and I understand the iGadget guys can benefit from a greater audio experience than what they current get right out of their on-board soundcard but apart from the D3 I have felt these sticks do not offer a huge step up to justify getting them as well as the fact DAP’s have a DAC function these days built right in there that can often be superior. But I could change my mind. Especially when Sonic Unity asked me to try their $99 Encore mDSD stick, which I actually think could be the best yet in terms of sonic reproduction at the stick level and certainly the most capable in terms of specs for the price. It looks like a large USB stick and to the uninitiated you will probably think it is an oversized memory stick. 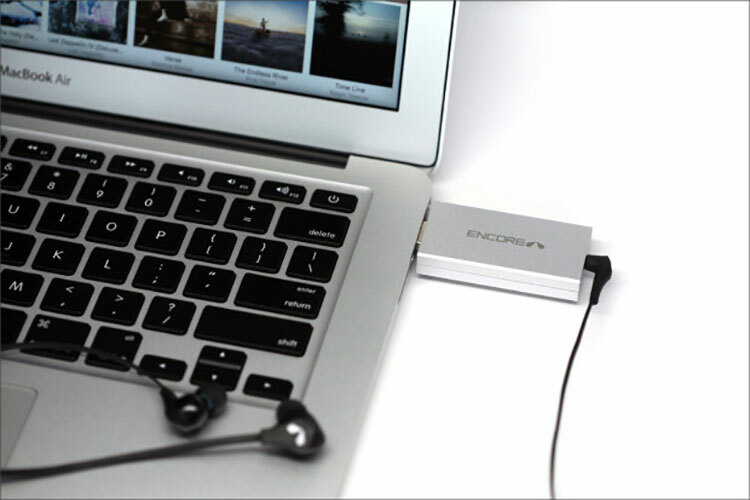 Much like the AudioEngine D3 it packs an audiophile punch as a micro sized DAC/AMP that is designed to allow you to digitally bypass the rather inferior cacophony of audio from your on-board PC or laptop soundcard. In doing the resulting critical expectation is that it will output a symphony of joyous melody at a much higher bit and/or sample rate and thus you will have a much better audio experience with the headphone of your choice stuck into it. Hurrah! 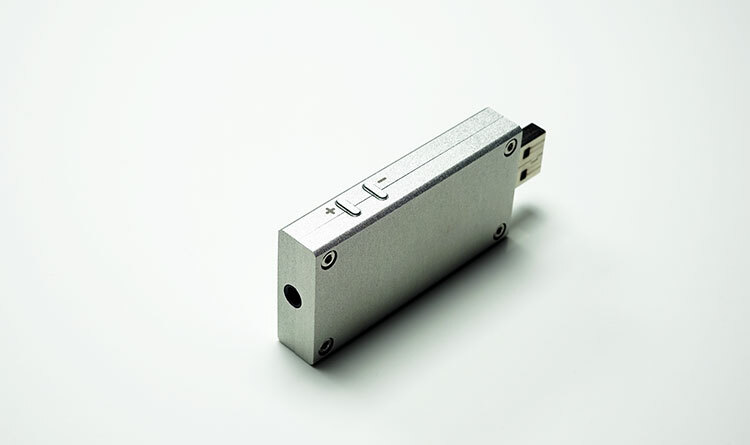 Unlike other USB DAC sticks though the Encore mDSD decodes at fantastically high rates including 32-bit/384kHz PCM and native DSD 256 decoding which puts it out there almost in a league of its own in terms of future proofing and reproduction capability compared to the other mere mortal sticks in the market. Both the D3 and the DragonFly hit the decode ceiling at 24-bit/96kHz so modern hi-res file formats such as PCM and DSD are off the menu. They are also priced at $99 to $149 meaning value wise on paper the mDSD packs a lot more for the same price or less. Only the LH Labs Geek Out 100/1000/V2 USB DACs, priced at around $200 plus, are capable of DSD and even then its DSD128 as opposed to the mDSD which sails onto DSD256 without stopping to catch it’s breathe. That being said it is one of the fatter USB DAC sticks out there in the market today. Those with an array of USB ports might not be too fussed on the fact that when plugged in the dimensions of the mDSD case actually prevent any adjacent USB ports from being used by other cables and gadgets such is its girth. Of course if you have a single USB port just sitting there then this is not an issue, but for a laptop such as mine, an Alienware then technically I need a USB extension cable to allow maximum use of all my USB ports. Luckily I have such a cable. It is odd how you acquire these things over the years and when they become rather useful. The casing though is rock solid aluminum 2 piece joined at the center and feels plenty sturdy. It comes in two colors, black or silver. The silver matches up pretty well to Mac laptops in terms of color coding and the black should do for everyone else. On the bottom you have 4 small hex key screws holding everything together. The mDSD can also be sold without this case at $69 for those who want to tinker and build something a bit different than what is offered by Sonic Unit as the finish piece. Everything else is well laid out though minimalist in aesthetics. To the left side you have two volume control buttons plus and negative labelled and to the bottom you have the dual 3.5mm/optical jack out. This dual jack I quite like. It makes the mDSD something more than just a standalone closed circuit DAC/AMP. SPDIF out gives me system connectivity. The Encore mDSD is not only a DAC it’s also an amp as well as potential system component with SPDIF out, but there is more. It can also connect with iOS and Android devices using the Apple camera connection kit and any USB OTG cable and USB OTG digital audio capable phone. In fact, when speaking to Sonic Unity on this they mentioned that this was primary aim of the mDSD and what, they hoped, would set it apart even further and that was its high degree of flexibility in connecting to mobile class devices such as iPhones and Android phones. The mDSD is built around the Sabre ESS 9010K2M DAC chip with XMOS USB chip. I have a warm feeling for this ESS chip. It’s a highly regarded mobile class DAC chip with a stable and low power draw and when implemented well can sound very clear with plenty of detail. Codec decoding is excellent with most lossless and lossy formats including DSD support. Quite a lot of the audiophile grade portable DAC products on the market today come equipped with the 9010K2M including the Resonessence Labs Herus and the NuPrime uDSD and at a higher price than the mDSD. The fact it can be stuffed into a $99 DAC speaks volumes for how much prices have dropped now on this chip. Since the mDSD is not battery powered, instead drawing from the source power supply, Encore have wisely designed the draw from mobile devices to be less than 20mAh, below the max allowable from iOS gadgets and should avoid heavy or fast drainage from your phone or mobile source. That being said, resolution of files, volume of output and whatever else you are up on your device during playback, can and will affect battery life so this is not a hard and fast rule. It’s obvous this model is meant to be a competitor to the Geek Out models from LH Labs. Have you heard the differences? I own the GO 720 from LH Labs. I tested power consumption Encore mDSD with USB tester it shows ~180ma. Tested on Motorola Droid Turbo 2, Lenovo P770 and direct plug to USB charger. Can this dac compete with the Fiio E10K? If you look at the stats and what it can do it wipes the floor with the E10k. Have you had a chance to try out the new Dragonflys? Curious how they compare to this. I have both DFs and they are wonderful. The Black shares the same DAC as this device but the Red gets the superior ESS Sabre 9016 with built in 64 bit digital volume control. Orchestral music off of an iPod Touch through the Red and out of my Shure 1840’s is stunning. What can you do with the optical out ? Why should you use the optical out because then you loose the DAC function of the mDSD isn’t it ?. I would like to connect the mDSD to my receiver, Should I use 5 meter USB or 5 meter good quality audio Jack/RCA cable ? People use optical a lot actually and it’s a digital output that allows you to connect to a range of DAC’S that may not have USB input direct to source. Your question thogh on what cable to use is confusing as there is no usb out on the mDSD. Ok thank you for your reply. Well I did mean USB 5 meters from PC to mDSD or 5 meters from mDSD to receiver. The distance between my PC and receiver is 5 meters. I read in your review that mDSD draw just 20mA from mobile device. 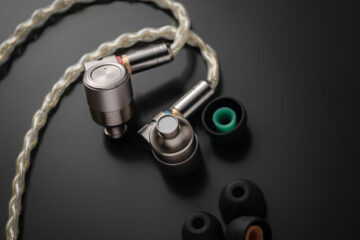 But my mDSD is draw about 300-350mA plug or un-plug headphone. It work great with PC but cannot with my Android phone except connect it with powerbank + OTG cable, it work but show using 300-340mA from powerbank that why I think it should not work when pure direct connect to my phone. So I wonder the 20mA was come from your testing or from spec sheet (that I could not find). Don’t get me wrong, I just make sure that my mDSD is defect or not. Did you try the mDSD out of another Android smartphone? My testing on the iTouch proved successful using a lightning to USB connector and iOS. I just try to use mDSD with Nexus7, it’s work without using power bank but alway consume about 340-350mA with and without headphone. And for testing how many power that my cheap phone (Moto E 2015) can supply. I use Fiio Q1 (I know It’s a dac with batt), it’s draw power about 120mA when charge and 000mA un-charge. Now I know my phone can supply at least 120mA. I don’t think my phone can supply high power like 350mA without helping with power bank. Because it’s a cheap phone or It’s may be my mDSD a defect one??? But how many power that mDSD draw from your phone and iTouch, it’s about 20mA, right? The power draw is consistent with iOS maximum parameters for power drawing or else it wouldn’t work. So, ” mDSD draw just 20mA from mobile device ” in this review just came from Sonicunity’s paper, right? I ask to make sure that no one can see 20mA with mDSD in real life. But I’m very confused because even at Indiegogo or Sonicunity , I cannot find anything 20mA. This spec is so good to be proud to show to buyers. headfonics – I don’t think the story of limitation of iOS from 2 years old post will help or concern in this case. Thanks anyway. You missed the point, the article link is to show to you that the CKK is gimped at 20mah Thus if the mDSD works with a software driven output at 20mah that means it complies and can function with that level of output. That does not mean the mDSD is in itself fixed at 20mah, it just means it can operate as low as that. I get your point, if mDSD can operate by using Apple USB Camera Adapter. It’s meant mDSD draw current <= 20 mA, Thank you. It means it can operate under 20ma, it does not mean that in itself it draws a max of 20ma, it could draw more if allowed to which is where maybe your Android phone falls down. I have tested it on 3 Android phones, a mid-tier, budget and a flagship Sony – the mid tier and Sony worked no issues, the budget one was intermittent meaning power was not sufficient though all 3 recognised the device. I don’t understand if mDSD can operate under 20mA, why my Android phone will allow mDSD draw more current to fail itself. And I already have a tool like in your link and used it. That’s why I know mDSD draw 340-350mA from my Nexus7. I would like to recommend a useful app for Android, its call “Ampere”. It can show the discharging current from your android phones. Sorry that not put the link here, don’t want to wait for approval. Having permanent problems when using the mDSD with iPhone 5S or iPad Air 2 – despite developer’s promises, error “USB device drawing too much power” occurs too often (with Apple Lightning to USB Camera Adapter, MD821ZM/A). The error occurs always when trying to use high resolution players like Onkyo HD Player in DSD modes. So, the device could only be apparently used with the standard player.. with fear of getting an error message every minute. Not for mobile devices. Thanks for the update – this only happened to me once and it was the first time I used it on iOS devices which naturally led to some temporary alarm before replugging it back in to make the gremlins run away. I was going to order one of these but when I emailed Sonic Unity to ask them what the output impedance was, the reply I received stated that they don’t provide output impedance data for any of their DACs and they do understand it’s a controversial topic (decision I think they mean). It’s up to them what they disclose of course but they’ve lost at least one sale because of their policy. I’m afraid that when a manufacturer refuses to disclose pertinent data, I assume it is because the data in question is not very flattering. That is to say, if the output impedance of this DAC was < 1 ohm, I think they might have a different policy. I could be mistaken of course but that's the risk companies run when they choose to be secretive for no good reason – that of giving potential customers the wrong impression. Hi, that’s very kind of you but please don’t put yourself out on my account. I’ll probably just take my pick from the other attractively priced DACs you’ve reviewed. Hello Do we have an update regarding the output impedance of mDSD? I’m in the market for a new DAC and this will be a valuable info. I’m also interested on how it pairs with 64 Audio A12. Thanks! Sadly none, I enquired and yup its a bit of a secret so we wont get the inside scoop on that. What I will do is is some testing on the A12 for you shortly. Thank you very much for the update! :) I’m still on the market for a very portable DAC. 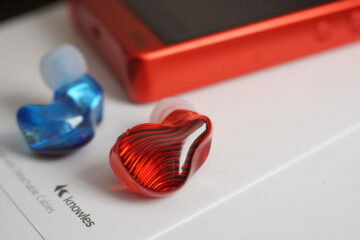 This Encore mdsd and the new Audioquest dragonfly black and red are currently on my radar. How does this pair with the 1964 V8 and A12? I’m very interested in these. Will give them a whirl this weekend and see how they sound. Thanks, your input is appreciated. I have both and want to pair them with this and hopefully buy before the Indiegogo campaign ends. How does this compare to DacMagic XS in terms of sound quality? Thanks! Sorry I do not have the DacMagic XS to compare tonally but on paper the specs of the mDSD are far superior. You have a higher decoding capability and an spdif out which the XS does not have. Would have been nice to include a mention of how this performs against other usb amps/dacs like the Schiit Fulla. Oh well, opportunity lost. Thanks for reviewing! How does it overall compare to D3 or microStreamer, for example? Are they more or less in the same league? I think it bests the D3 with a higher resolution capability and the spdif dual 3.5mm jack making it system capable. microStreamer never tried. I believe you mean the ESS 9018K2M, right? Nope its the 9010k2m but I dropped the reference to the ha-2 which quite rightly uses the 9018, herus and the uDSD do indeed use the 9010k2m chip which is a 2 channel chip.